"Hi... I wanna know how to convert the YouTube files flv to mpeg. Someone please tell me a website or a YouTube MPEG converter that will convert YouTube videos to a MPEG movie. Thanks." "How to download videos from YouTube and convert the YouTube flv to mpeg format? I googled it too many times but couldn't find a easy and simple way. There are like those ones where you have to type programming commands and all, but I am looking for something simple. Just to download and convert YouTube to MPEG format, so that I can store it in my device. Any YouTube to MPEG converter for this job? Thanks." Time and again questions on how to download and convert YouTube videos to MPEG will pop up. Before we download YouTube to MPEG with a YouTube MPEG convreter, let's look at why MPEG format is and will always be among the top choices when users want to download YouTube videos. MPEG is short for Moving Picture Experts Group, a working group of ISO that was established in 1988. The term stands for the family of digital video and audio compression standards and file formats formulated by the group. Even after being compressed with a YouTube to MPEG converter, MPEG files will stay almost the same original quality of the uncompressed movie. For this reason, many users want to get the online Web, music videos, movie trailers and other video clips from YouTube download and convert to MPEG format to keep high quality and small size. And that's a major reason that users need a YouTube mpeg converter. Why we need to convert YouTube to MPEG? The common-used standards are MPEG-1(.MPG), MPEG-2(.MPG) and MPEG-4(.MP4). As one of the most most popular formats that allows streaming high quality video on the internet, to download videos from YouTube to MPEG means you can enjoy enjoy the downloaded videos on extensive devices as well as players: These files can be played with Windows Media Player, Apple QuickTime Player, Cyberlink PowerDVD, Xine Player and other multimedia players; MPEG is included in lists of supported files of most devices, like the iPhone supported formats, iPad Air 2 formats etc. If it's unfortunately not included in formats for certain devices, it's easy to convert YouTube or other videos to MPEG with a reliable YouTube MPEG converter. MPEG is supported by all popular web browsers, many popular media players, like Windows Media Player, Apple QuickTime Player and other movie players and operating systems such as Windows, Mac OS X, Symbian OS, Android and more. MPEG delivers high video quality while stay with small file size, which means you can store more videos in your devices. MPEG is a cross-platform and non-commercial standard. MPEG offers large variety of simple inexpensive decoders. MPEG provides possibility of creating new encoder concept based on MPEG. As MPEG is so widely used while comes with a series of benefits as mentioned above such as high video quality and small file size, no wonder users are seeking for a solution to download YouTube to MPEG. To download as well as convert YouTube videos to MPEG at one stroke, a professional YouTube flv to MPEG converter named MacX Video Converter Pro is highly recommended, not only for its strong ability to download videos in 4K 4096 x 2160, HD 1920 x 1080, 1280 x 720, from 1000+ online video sharing sites like YouTube, Vimeo, Vevo, Dailymotion etc, but also its knack to convert the download YouTube FLV to MPEG, MP4, WMV, MOV, AVI and other popular video formats, as well as the latest mobile devices like iPhone Xs, iPad Pro, Android, Samsung Galaxy Note 4/Edge etc with high quality reserved. 5x faster speed and no quality loss! 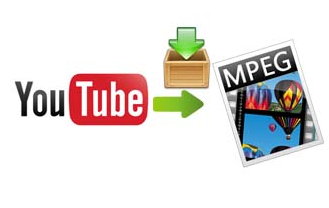 Download YouTube to MPEG converter for Mac. Install and run it. Hit "YouTube" button and click "analyze" to load the YouTube video you want to convert from FLV to MPEG by copying and pasting the wanted video URL from YouTube. Or clicking "paste & analyze" button to automatically detect the YouTube videos on the opening website page. To convert YouTube to MPEG, choose MPEG as the output format from the format list. Note: In addition to download YouTube flv to MPEG, this YouTube MPEG converter can convert YouTube to other video formats, like convert YouTube video to MP4, MOV, FLV, AVI, WMV etc. Besides, rich portable device profiles are also available, from which you can convert YouTube to iPhone, iPad, Samsung, Kindle Fire, HTC One, Xbox etc. directly with excellent quality. Click the "Browse" button and choose the location where you would like to download YouTube to mpeg into. Click "RUN" button and the YouTube movie converter will automatically start to download and convert YouTube to MPEG.